School is finally over! And what better time than Summer break to take care of your body by working out; your teeth by brushing, flossing, and going to the dentist; and eating healthy foods to give yourself the proper nutrients. But in all of the things you do to care for yourself, do you neglect your eyes? 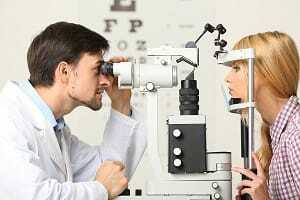 Even if you have 20/20 vision, regular eye exams are crucial to your health. Going to the eye doctor helps you adapt to vision changes, and detects any eye problems early so that you can begin treatment before the issue worsens. Learn more about the benefits of scheduling yearly eye exams. Even if you already have glasses or contact lenses, treatment doesn’t end there. Your eyes change as you age, meaning your prescription will need to be updated periodically. If you’ve been suffering from unexplained headaches or sore, itchy eyes, new corrective lenses could be the answer. Being able to adapt to eye changes is important in preventing the issues listed above. Without regular eye exams, you’ll likely suffer longer than necessary. Eye problems can occur at any time during your life, but become more common as you age. Conditions like glaucoma are only treatable with the help of an eye doctor. Regular eye exams allow you to detect the possibility of certain conditions early, so that you can either prevent the conditions, or treat them in time to stop them from worsening. Now that school is over, make time to properly care for your eyes. For more information about eye care or to schedule an eye exam with one of our optometrists at Valley Eyecare Center, visit our website.